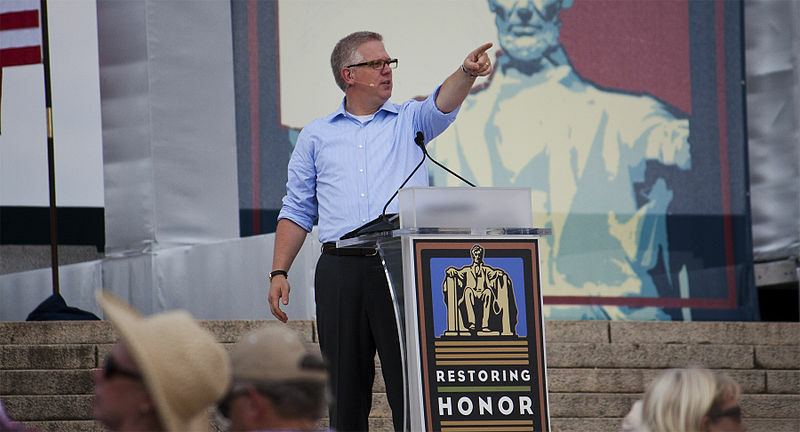 Photograph of Glenn Beck at the Rally to Restore Honor from Wikimedia Commons. Parody of Gabriel Garcia Marquez courtesy of satire. Wow, future history writ. How scary. Um, actually, you’re wrong, as most leftists are. You really should crack open a history book every now and then. Perhaps you should not presume to know me. History is one of my specialties. And if you were a bit more discerning, you would have picked up that both the post and my response were written with a heavy dose of irony. You really should read more Jonathan Swift. Yes, I’ve been writing less of late myself. Health issues. As with everything else, this too shall pass. I love how these bizarre responses just pop up every once in a while. The problem is usually that the commenter is responding in a vacuum, having no prior knowledge of the blog’s content or the mindset of the author or regular readers. Usually I try to ignore them, but this one pissed me off with the snide little comment about “cracking open a history book now and then.” Please. Take care, and try not to work too hard.